First, I have to geek out a bit on today's date - ever since 01-01-01, I've loved the one day a year when the month, day and year numbers all match. And I'm kind of sad knowing that next year (12-12-12!) will be the last time that will happen in my lifetime. I guess I'll have to be content with dates like 11-12-13. 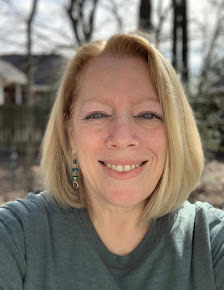 No Candy November update: I had a good first week, but on Monday evening, I met my running club coaches for dinner and an end-of-season planning session. We were at a bakery/deli that has really good cookies. BIG, good cookies. Which were all around me. Now, I know that a cookie isn't candy, but the kind that I would have gotten (chocolate chip) was candy-like, and I decided to not get one. Not easy, and I'm not sure why, after doing well for a week, the candy/sugar craving hit me so hard. When I got home that night, I ended up drinking a Dr. Pepper 10 (yes, we laughed at their commercial and actually bought some), which was enough to satisfy my sweet craving (should be, since the second ingredient listed is HFCS). While I rarely drink sodas anymore (even diet), they do help me in a pinch. And I was definitely feeling a pinch earlier in the week. Thanks to all my enablers commenters (love you guys! ), I decided to go ahead and take Thursdays off from the pool, starting yesterday. Felt pretty dang good to not have snooze guilt. I went for another walk around the scary statues in the afternoon - wore my Newton running shoes, and let my mind go where my legs couldn't - yet. I am probably the last person to know this, but just in case you haven't tried it, type "do a barrel roll" into Google search and watch what happens. Fun! We have been looking to buy a new camera, and last weekend while we were wandering around Best Buy, I checked out their video cameras. Y'all. When did they get to be so small??? 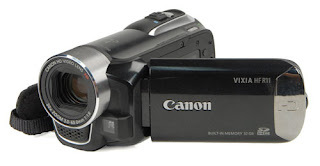 Back in the day, we borrowed a behemoth video camera that you had to rest on your shoulder - this thing held VHS tapes and was heavy! Now? The video cameras are the size of a toilet paper tube! And so inexpensive!!! I wanted to buy one just because, but our new camera will have decent video capabilities, so we really won't need a separate video camera until we have a grandchild (oh yes, I just went there)(not that THAT is in the near future at all)(but babies are happening all around me and I want to claim one, dang it). 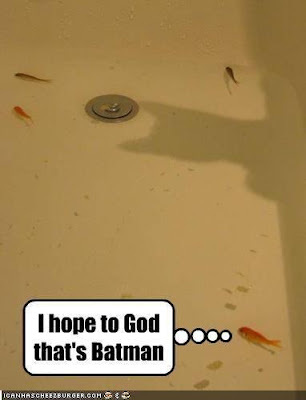 Not sure why the fish are in the bathtub to begin with, but this picture makes me laugh! Finally, it's the return of Fashion Friday! I only worked one day this week - James Avery likes to ease us into working, which is fine with me. The big deal about this picture is that I'm wearing real shoes! No flip flops. My ankle is finally down to a manageable size, although after a few hours in the shoes, my foot/ankle had swollen up around the strap. Still, it felt good to wear nice clothes again. The top has an elastic waist and then a peplum-type drop - I like it because it hides my stomach, which I am not very fond of right now. Running should take care of that (and can't come soon enough!). Thank you to all of our Veterans on this day (and really, every day); I hope everyone has a great weekend! Im proud to shout IM AN ENABLER!!! You were not the last person to know about the Google trick. I was! great outfit! and I have no idea what the google trick is! Shelley - your outfit is SO CUTE. annnddddd AMAZING JOB on avoiding the cookie. You are a strong woman! I love your last "model" post Shelley! So glad to hear my Mom is doing so well - love that her next tests arent' until May! Woot! GMTA!!! Fo realz... I was looking at video cameras at Best Buy last weekend because I want one. Uhhh, only not for babies. For me, me, me as I want to tape Mr. Helen's 3rd degree testing and maybe start doing some video blogs. Waaaah. I didn't know about the google trick, and now it looks like they have taken it away, since it went viral. You got me looking all over the web and fantasizing about running shoes. Those Newtons are my favorite ever. Can't find them discounted anywhere! That pinterest thing was hilarious. I had to look twice to see what they were talking about. And you look gorgeous! I'd buy jewelry from you any day! Love and WANT that blouse, Shelley! You look great! The barrel roll even works on my iPhone. Love shirts that style. So flattering! You look fabulous. Hi Shelley. OOOH...LOVE LOVE LOVE the blouse! Yay for fashion Friday!! And I laughed out loud at the Pinterest picture. Have a wonderful Friday. First off your photos are awesome. You are looking great. As for 12-12-12. My son will be 21 on that Day! You look hot Shelley! That is a super cute outfit. I need lessons from you. You are not the last person on the google thing, I am also behind 'crumpled moments' LOL. Pssst! Hey, little girl, want some... [dramatic pause] CANDY??????? Sorry. Will try to behave. Pretty much, anyway. I know that feeling. I didn't think I ate much sugar... until I tried not eating any. But you're tough. You can do it! Quote du jour: The chains of habit are too weak to be felt until they are too strong to be broken. Love the outfit Shelley - I think that looks great on you! Great outfit sweety, you look fabulous. Wonder twin cookie powers...Activate! Form of...will power! Well done...also...rocking that outfit 4 sure. LOVE the blouse. Very nice. Glad to hear the ankle is cooperating a bit more. 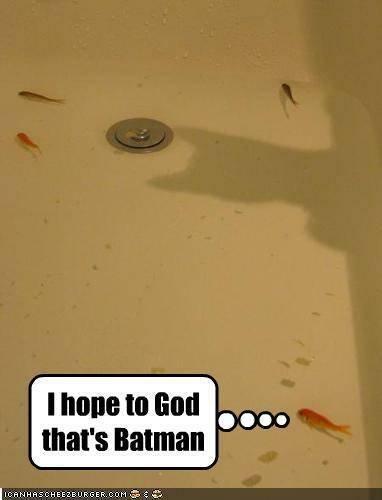 Totally LOL-ed at the fish in the tub. HA!!!! Ooooh, well done, all around. And my goodness, that haircut is just amazing. Every time I see it, I love it even more.